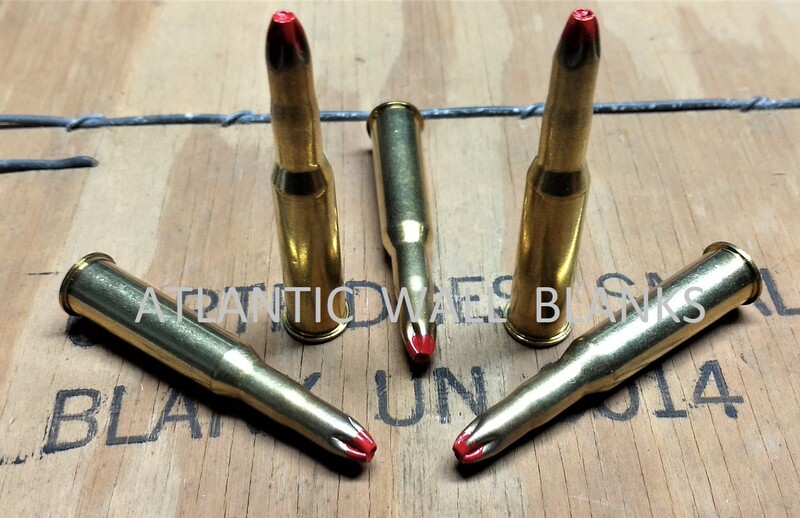 Full length blank for perfect feeding in the all models of the Mosin Nagant, SVT-40 and DP machine guns. Full Com-Bloc mil spec charge (full flash) & non-corrosive primers make this a great all around blank for your finicky Nagant, or semi & full auto weapons. Contact us or BFA info on different weapons.